Specializing in both commercial litigation and employment law, Alison Greenberg frequently counsels clients, and negotiates and litigates on behalf of clients, about workplace matters and termination and compensation issues. Ms. Greenberg’s litigation practice focuses on commercial disputes. Often, such matters involve contracts, unwritten arrangements and/or disagreements about non-competition, non-solicitation and confidentiality provisions in contracts. Ms. Greenberg has developed a niche representing both borrowers and creditors in foreclosure matters. 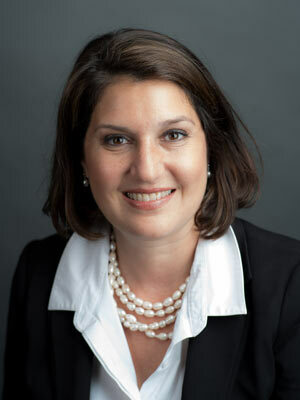 Ms. Greenberg’s employment law practice typically involves compensation and contract disputes, discrimination and other workplace controversies, on the employee side. However, she also represents management and aims to counsel employers about proper workplace conduct and compliance with laws and regulations to help avoid litigation. Finally, she also defends employers in workplace litigation. Ms. Greenberg received her B.A. from the University of Pennsylvania in 1994 and her J.D. from Seton Hall University School of Law in 1997. She worked for the firm of McCarter & English in Newark, New Jersey from 1998 to 2008, and made partner in 2006. She left the firm in 2008 to start her own practice in Manhattan with the hope of building her own client base, such as individuals in workplace matters. She enjoys representing the underdog.